In this class you will learn everything you need to know to set your pup up for a lifetime of stress-free socialization and learning. In addition to the basics of impulse control, obedience, and some truly adorable puppy play time, we will cover developmental periods (what to expect), desensitization to the human world (from common canine experiences like the vet/groomer to inanimate objects like a balloon or vacuum), common puppy problems (like chewing, jumping, nipping, whining), and so much more! Get ready to be the best-educated pet parent you know! In this class, you will learn how to teach AND reinforce all the basic obedience commands (Sit, Down, Stay, Come, Leave It, Drop It, etc). You will also be educated on how to diminish common problems like barking and jumping AND which tricks of the trade you will need to create and maintain a fit, stimulated, controlled, and stress-free canine for life (Loose Leash Walking, Body Handling, Settle). In this class you will be building on your basic obedience commands in ways that make them more reliable, more mentally stimulating, and more useful in real life. A sample of what to expect would be Down at a Distance, Paused Recall, Advanced Stay using the 3 D’s, Body Awareness and Fitness Training, not to mention Advanced Tricks! 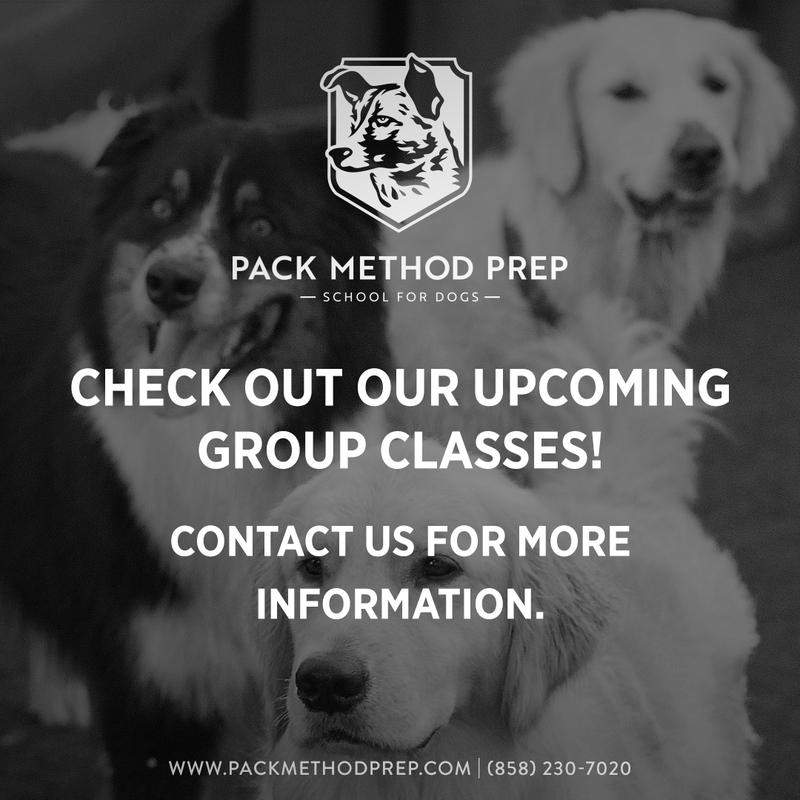 In this class you will be creating a true team with you and your pup. You will be taught to use your intermediate obedience skills and your pups ability to control their impulses, in advanced ways in advanced settings. THIS IS A MOVING CLASS! This means each class will be meeting in a different location around San Diego to increase the challenge and help generalize your commands. In addition to advanced obedience commands, your instructor will be leading you through each of the 10 Test Items included in the AKC Canine Good Citizen certification program. An exam will be administered on the 6th week for all that are interested. MUST have previously completed a basic dog obedience course (either with us or another dog trainer). So, your kid wants to be a dog trainer? Of course they do! It’s the best job in the world! In this class parents take a back seat while the kids do all the canine handling. Kids will work hands-on with their canine partners to achieve competency in a variety of obedience commands and tricks while also learning the basics of canine behavior and body language. This class is not a joke! When done right, Pilates is one of the BEST ways to condition the body for longevity and ultimate physical health. So why would we keep it to ourselves?! Canine companions that are properly cared for exercise a minimum of 30 minutes a day with some breeds requiring up to 2 hours twice a day! The exercise options most widely used are walks, jogs, runs and fetch, with park outings and playdates sprinkled in. The repetitive activities put a significant strain on a canine physique in the same way it would for a human professional athlete. Pack Pilates will teach you how to strengthen your dog’s body in ways that will increase endurance and flexibility, improve balance and body awareness, and overall prevent injury. As a bonus, the exercises in this class will also provide mental stimulation, increase confidence and strengthen the Parent/Student bond. Sign up now to help YOUR dog live healthier AND longer!